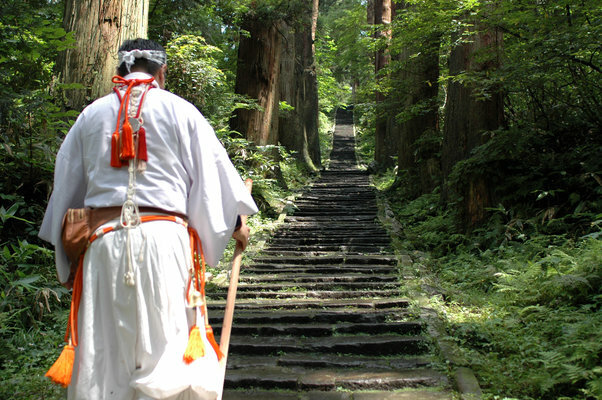 Shikoku is host to the famous 88 temple pilgrimage. It is said to take up to 3 months to complete the 1200km. The pilgrimage dates way back to the time of famous Buddhist monk Kukai who lived from 774 to 835. There are several legends related to the beginnings of the pilgrimage. The most popular legend, of course, is that Kūkai walked to all of the sacred places on the island, founded many of the temples, and established the pilgrimage itself. While we don’t know everything about his early life, we know enough about what he did and where he lived to prove he did not establish or walk the complete route. He did however establish a number of temples that are still located in the same place today. The first people to walk the complete route were monks from Mt Koya. But it is not the route as we know it today. Temple have come and gone so the route taken is very different. These men know as Koya Hijiri were disciples of Kukai who is buried and Mt Koya. Naturally to honour their master the monks travelled to places that are important to Kukai. Eventually more temple were built and the route extended around the whole island of Shikoku. The first written evidence of the monks wandering the island was in the 12th century. It wasn’t until after 1603 and years of war did the pilgrimage begin to take shape as we see it today. Monks began to write guide books about the walk. The first book written by Yūben Shinnen (d. 1691) seem to indicate that he spent his whole life wandering the island of Shikoku, walking the pilgrimage, setting up sign posts and building lodges for fellow worshippers. In this book written in 1687, the temples are in roughly the same order as they are today and it remained the standard guidebook throughout the Tokugawa Period. In the past, the pilgrimage had been limited to monks but by the Edo period the number of commoners began to increase dramatically due to new Tokugawa policies. 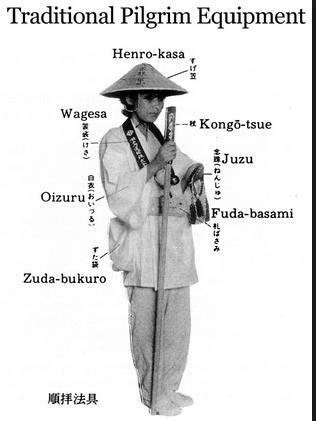 Firstly, bakufu had made farmers independent of their previous landlords and as agricultural technology improved farmers produced a surplus that they could sell and make a profit. This gave them the money required for an expensive pilgrimage. Secondly, life for merchants and artisans living in the bigger cities of Edo, Ōsaka, and Kyōto was also improving. As the Edo Period progressed they found that they also had the time and money required for the long trip to and around Shikoku. Thirdly, even with money, prior to the Edo period travel in Japan was a difficult process. However, because the Edo bakufu required all daimyo to travel every other year under the Sankin Kotai system, all manner of transportation, including roads and lodging, improved dramatically. The pilgrimage continued to become more popular until the second world war of 1939-1945. Japan was so poor after the war that no-one could take the pilgrimage. 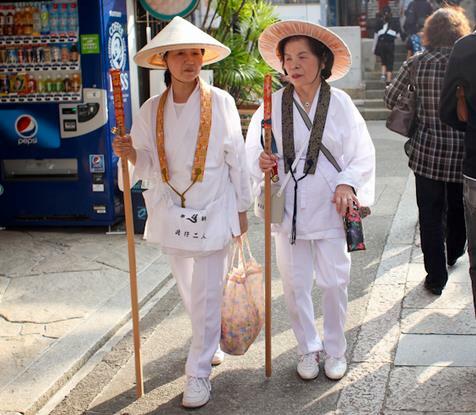 By the 1960s the Japanese economy was back on track which saw a resurgence of the pilgrimage once again. These days it is probably safe to say that the predominant walker is no longer the only there for religious reasons. Today the typical walker has come to the island for sightseeing reasons. Although there is some sense of its religious roots in everyone’s mind, it would be hard to argue against the fact that the main reason most people go to Shikoku is for sightseeing. While there, they may pray for help in some personal or business matter, they may thank Kukai for success in some undertaking, they may pray for the spirit of a deceased relative. 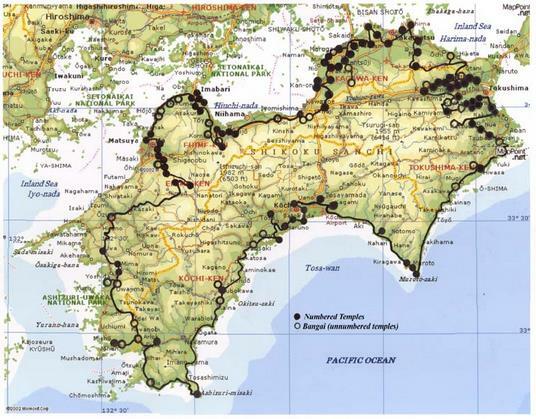 But, this is not the main reason that most now go to Shikoku.